Petra Reiter from bwin.party services (Austria) will present a case study entitled „Customer Engagement vom Startup zur Weltmarke” based on her experience gained during the work with our product. On 22th June we will be taking part in one of the most interesting conferences aimed at complex attitude towards customer service. Rethink! 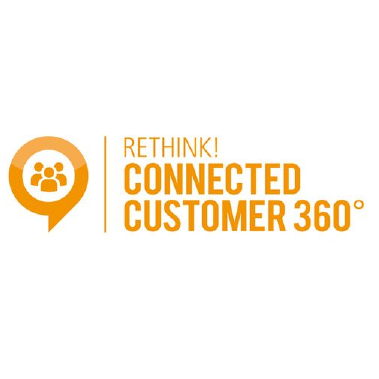 CONNECTED CUSTOMER 360° is held in Berlin from 22 to 23th June. The representatives of big and medium-size companies that recognize the need of new, individualized attitude to customers will be present at this conference. The participants during the lectures, discussion panels or workshops will get to know new communication channels, strategies and technologies as well as new CRM advanced solutions. ALAN Systems company will present its new solutions - CREAM care that provides complex attitude to customer service process using the modern technologies and different access channels. CREAM care is a flexible system adjusting to the requirements of companies and providing the most optimal, individualized customer service. Thanks to CREAM care the whole service process is more efficient, subjected to bigger control, gains in quality and satisfies the customer needs. Petra Reiter from bwin.party services (Austria) will present a case study entitled „Customer Engagement vom Startup zur Weltmarke” based on her experience gained during the work with our product. The key advantages obtained by bwin.party company after implantation of CREAM care will be set forth.